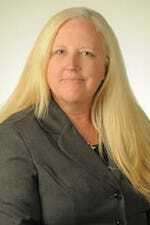 Kimberly P. Fohr, Real Estate Paralegal/Department Supervisor for the law firm of KALIS, KLEIMAN & WOLFE and Vice President of 1st Trust Title, Inc. has been in the business since 1982 and joined the firm in 1987. She has a Bachelors in Business Administration from Florida Atlantic University in Boca Raton, FL, and is a license title agent with the State of Florida. She has handled thousands of Closings, from large commercial projects to individual residential purchases. She enjoys spending time with her family, friends and enjoying the outdoors.